Up to this point, Marvel and Netflix had an impeccable record. Two seasons of Daredevil, one season of Jessica Jones, and last year's Luke Cage have all been well received. They've had their problems of course, but the positives far outweigh the negatives. Iron Fist just might break that trend, however, at least if the early reviews are any indication. The show's first 6 episodes have already been screened by several outlets, and the reviews aren't promising. Even the reviews that peg the show as average seem to cite the same core issues, which happen to be a lack of personality, boring and awkward fight scenes, and it's portrayal of Asian culture (via ScreenRant). Variety's Maureen Ryan spotlighted the show's boring characters and plot, saying "Quite a few dramas in the streaming arena have pacing problems, and even Netflix’s better Marvel programs have displayed an affinity for contrived, time-killing subplots. 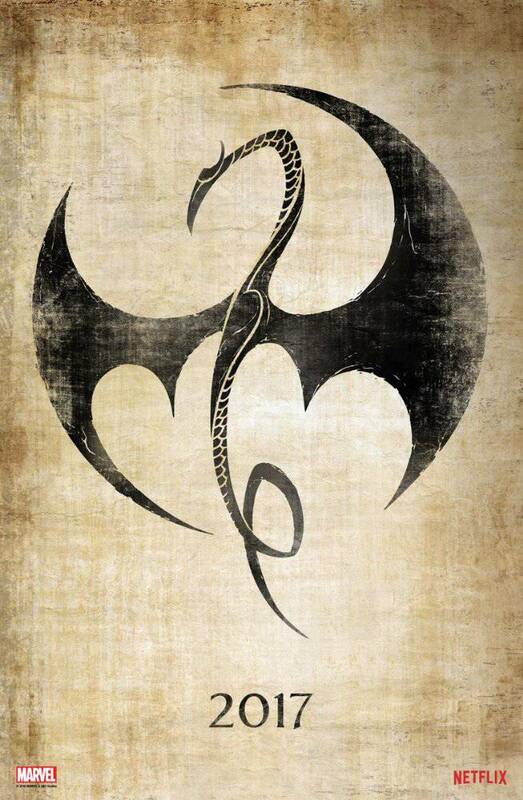 But “Iron Fist” is the most frustrating and ferociously boring example of Netflix Drift in some time. Not one element of this plodding piece works. The action scenes lack spark, snap, and originality. None of the flat, by-the-numbers characters makes any lasting impression. And as origin stories go, the tale of Danny Rand (Finn Jones), at least as rendered by this creative team, is about as exciting as a slice of Velveeta cheese left out in the sun too long." IGN's Jim Vejvoda said "[Its] high-rise approach does set Iron Fist apart from the other, grittier and more urban Marvel-Netflix series, [but] it also lends the show a sterile look and feel. Again, it’s all very prime time soap opera-ish. The latter of these first six episodes eventually brings in more comic book-y and fun elements, but Iron Fist is thus far the weakest of the Marvel-Netflix series." THR's Daniel Fienberg would probably skip the whole season if he didn't have to watch it for Defenders. "After three straight creative successes, three above-average character introductions, the partnership between Marvel and Netflix was due for a dud. This isn’t to say that Daredevil, Jessica Jones and Luke Cage have been shows without flaws… Each show, though, has had virtues of tone and aspiration that made it feel like a complicated superhero TV code had been cracked. [Iron Fist] feels like a step backward on every level, a major disappointment that already suffers from storytelling issues through the first six episodes made available to critics and would probably be mercifully skippable in its entirety if it weren’t the bridge into the long awaited Defenders crossover series. CNET's Luke Lancaster said "Jones' Danny is likeable enough. The fight scenes are good enough. The problem is that "Iron Fist" suffers from having to follow "Daredevil", "Luke Cage" and "Jessica Jones". It's hard not to compare the latest show in Netflix's "Defenders" lineup with those that came before, especially "Daredevil's" masterful fight choreography or "Luke Cage's" neo-noir spin on a '70s exploitation character." Polygon's Susana Polo took note of the show's lackluster portrayal of Asian cultures and Asian Americans, but also the rather boring adaptation of the character as a whole. "After Jessica Jones (a revelation), Luke Cage (flawed but still brilliant) and Daredevil (outshone by the competition but still very solid), I fully expected Iron Fist to be a decent adaptation ultimately hobbled by an unwillingness to stray too far from its dated source material… And let me be clear: Iron Fist’s problems with its portrayal of Asian cultures and Asian-Americans are embedded throughout every episode. It’s just that its problems with delivering exposition, crafting consistent characters, and even basic dialogue writing run right alongside." Uproxx's Alan Sepinwall points to the show's odd story pacing. "None of the conflicts are well-articulated, and none of the pacing choices make any sense. They do a Gaslight story in the second episode, for instance, as Danny is sent to a mental hospital where the doctors try to convince him that his time in K’un-L’un wasn’t real. That’s way too early to go there in a series where we barely know Danny or any of the other characters yet, and seems mainly an excuse to have Danny talk about K’un-L’un without the series having to build an expensive fantasy city and a CGI dragon for Danny to fight. A flashback could be coming later in the season, but the early episodes violate the “show, don’t tell” rule of storytelling at almost every turn." The signs don't look so good for Marvel's final defender, but as with all things, final judgment needs to be saved for the season as a whole. Still, it seems the first dud from Marvel and Netflix's brilliant partnerships might be headed this way. Want the chance to win one of Logan's claws thanks to Regal & IMAX? Click the here or the image below to enter!